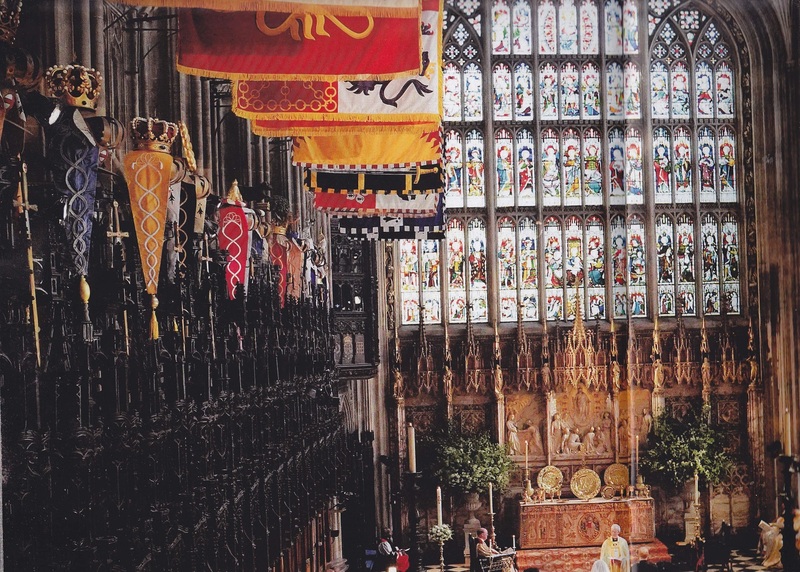 The Quire in St George’s Chapel Windsor Castle during the Royal Wedding of Prince Harry and Megan Markle in May 2018. In May 2018 there were thirty-two of Ian’s carved painted and gilded Crowns, Coronets and Crests commissioned by the Royal Household on display either side of the aisle in the Quire of St George’s Chapel in Windsor Castle. These include shown above. The Crowns for King Juan Carlos of Spain. King Harold I of Norway, King Felipe V1 of Spain and Emperor Akihito of Japan’s Chrysanthemum Crest.